In the last 15 years at Rodriquez Consulting we have served a variety of yacht charter companies and private owners who were keen on chartering their yachts. More often than we would expect we get asked the usual questions: Is yacht charter profitable and/or is it a good business to get in? or Can investing in yacht charter be profitable? In many industries the above questions would be rather simple to answer. However, in the yachting industry answering these questions with anything else other than “It depends..” requires us to get into more details. At the very least, we need to get into the specifics of the size segment you choose, primary geographic area and the yacht charter business model that you intend to implement. The continuous growth in technology and globalization has led to numerous changes in the ways people do business, and this means that marketers need to be prepared for the change too. 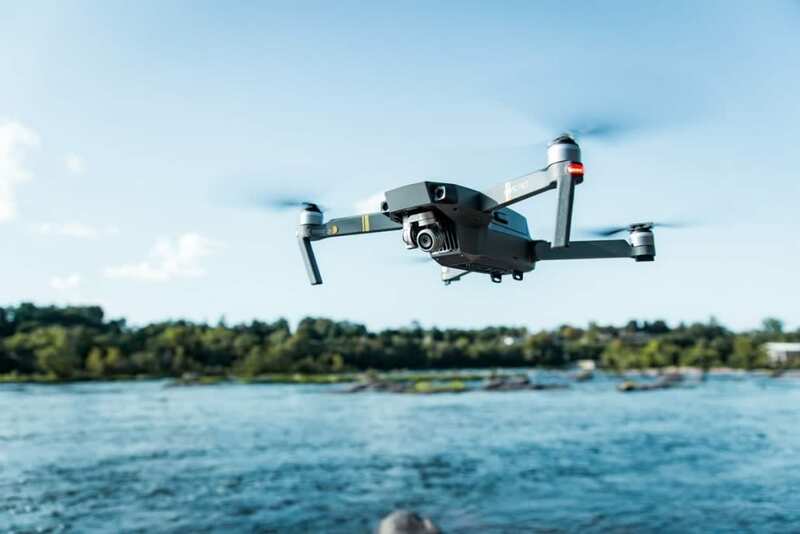 In this case, if you are that marine marketer who wants his 2019 to be successful, get to understand the following trends that will change your marketing experience. If you are writing your Yacht Charter Business Plan or another type of business plan in the yachting industry we are sure that taking into account these 4 trends will be helpful. 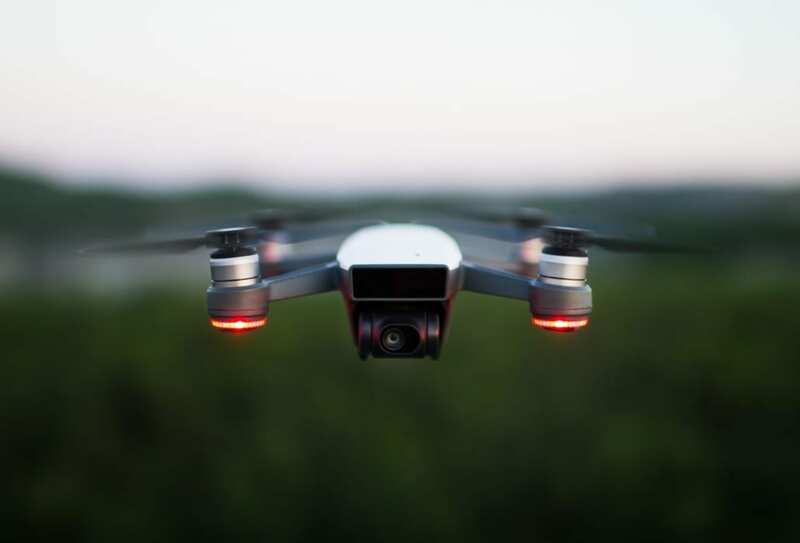 These changes include the growing cloud, artificial intelligence, machine learning, numerous app launches and the unexpected change in consumer preferences. Every marketer will have to consider all these trends to help them continue thriving in the changing business world. Customer experience made a big difference in the year 2018, and it is obvious that it is going to do the same in the year 2019 for every marketer. Customer experience where the marketer focuses on providing personalized customer experience while meeting their expectations rather than just selling products or services. When you, as a marine marketer, focus on putting the needs of the customers in all marketing channels first, it is guaranteed that you will attain their loyalty and retain them. Customers do not want to hear your selling pitch that only talks about your products and services, but they would like to know why and how these products will be of help to them. The main thing here is to ensure that your experience with customers is consistent and unified in all touch points and everything you use in your marketing campaign is relevant to them. 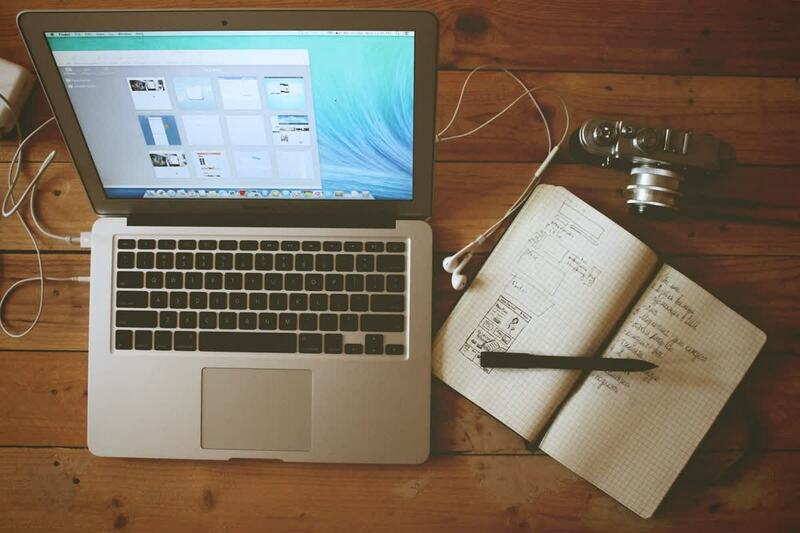 In today’s digital world, a lot seems to happen on the internet including marketing. And while the internet can be a good channel to boost your marine marketing, some pitfalls come with it. For instance, most companies tend to send emails as a way of marketing and many consumers are blocking these emails and marking them as spam, which means the message never reaches them. Furthermore, research shows that internet users are finding ways to block ads and popups that show up when they are browsing because they feel like you are intruding and misusing their data. In this case, every marine marketer should consider using the traditional word of mouth marketing tactic together with online marketing techniques to optimize their marketing efforts. While people may trust online reviews left by consumers, referrals through word of mouth are also working as an added advantage. Videos are becoming the newest favourite for consumers, and it is good for you too because you can now represent your products in a better way than ever before. They say that an image is worth a thousand words and this means that a video could be worth a million words. Video marketing is a popular trend in today’s digital world and doesn’t seem to be going away anytime soon. All you need to do as a marine marketer is to make a quality video. If you do not have the skills or the equipment that can assist you businiess in this, you should consider working with a marketing consultant who values this popular marketing trend among other trends in 2019. Also, avoid making long marketing videos, ensure that they are hyper-focused and personalized to lure a specific audience. Personalization of marketing contents or campaigns has become the main thing in the business world, and you cannot ignore this aspect as a marine marketer. Artificial intelligence (AI) and machine learning are also becoming popular in most businesses for a good reason. One thing you need to know is that when technology keeps on growing, people’s expectations also change and you must keep them updated with these changes to meet their expectations. This is the part where you need to incorporate AI and machine learning to help you automate your marketing campaigns depending on your target audience. AI and machine learning are good for advanced data interpretation and segmentation and thereby automation of processes. 2019 will be a better year for you as a marine marketer if you choose to consider these trends when preparing your marketing campaigns. Yes! After many years we have finally given up to the dozens of requests we have received to build a comprehensive guide on How To set-up a successful yacht charter company and build your own charter business. Today, much more than 10 years ago, We are confident we can deliver a lot more value as the business of yacht charter is not only based on the experience on boats but also on how efficient and effective you are at winning new clients. We are going to look at the business of yacht charter from the perspective of those who actually want to buy and manage a vessel and charter it . The mere yacht brokerage firm is a much simpler business model which are going to describe in details later on in the guide. If you don’t need our guide but you are ready to build a business plan save yourself days of work or expensive consulting fees to begin with and order our Yacht Charter Business Plan Template developed with Ms Excel from which you can easily build your plan. Can I run a yacht charter business solo ? Please don’t forget to register your interest to be notified when we the guide is ready. UPDATE 22/June/2017: As we received plenty of requests we are also going to publish a Yacht Charter Business Template on Excel which takes into account a typical scenario of acquisition and refitting of a vessel and the charter operations. This is a very unique business model developed in Microsoft Excel which you can customise according to the type of vessel and expenses you are facing during the process. We have looked for something similar and we have not found anything useful for this purpose, therefore, for we have decided to build it for you and make it available for purchase at a very competitive price. Do you want to start Yacht Charter operations with your boat? The yachting industry is changing significantly in the past 20-30 years. Boats and yachting holidays were predominantly something that was mostly considered by people who were exposed to a yachting culture of some kind. The internet, clearly changed this game and it keeps changing it at speed. We recently wrote an article on the topic of how the ‘the airbnbs of yachting’ are going to chance and improve boat ownership, however, the game is changing for yacht charters and even smaller and local boat rentals (those hiring boats by the hour or day rather than the more standard charter week). For over 15 years we have produced market research and analysis on the yachting industry observing how the demographic and the phsycographic of the yachting market was changing. On top of that we were always strongly involved in the more topographic analysis of users behaviour on a variety of websites and companies selling yachts, yacht charters, boat rentals, marine supplies etc.. 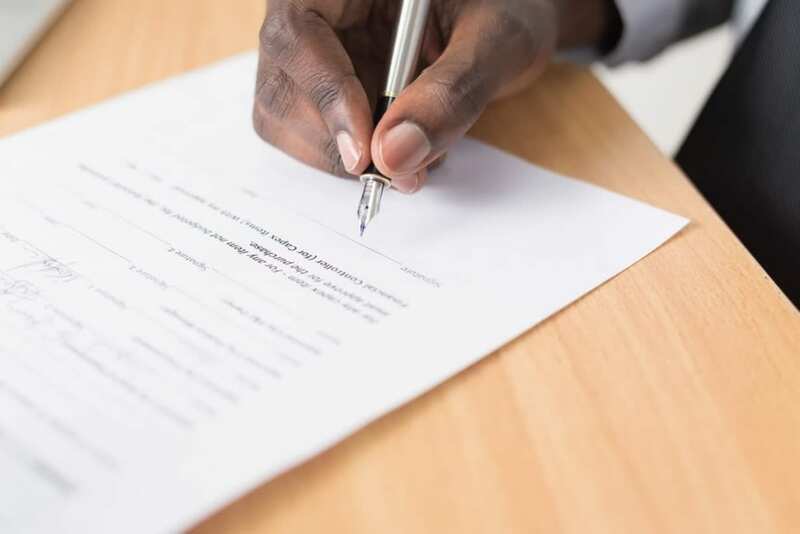 The experience of these two combined analytical points of view enabled us to get to the point and write a simple list of the most common and most widespread mistakes done in the yacht charter business. This is a common mistake for yacht charter companies that has been done and it is still done countless times. It goes from slow loading websites (See How to make it faster), to horrific user experience, all the way to terrible spelling or amateurish photography. Yachts and Yachting related services unlike many other products are simply not as easy to find in a physical shop the highest the internet penetration becomes and with the generational change this because a make or break element of a lot of yachting or boating related businesses both operating in B2C and in B2B. I can’t even being to tell you how many times we have heard the sentence, “my clients don’t buy a boat because they see it on the web“. While this statement might have been somewhat true some time ago, it’s also true that when it comes to high ticket purchases no single source of information is the only one that makes a client purchase decision exclusively. Another very common mistake in the yacht charter business, we have made ourselves, is to assume that people that take an interest in yachting or boating have a certain degree of sailing or marine knowledge. Everybody starts somewhere and in many countries more than others the last thing that you want to do is make a client feel dumb for not knowing something or worse assume and he/she/they will behave based on your assumption they know something that they might not. Simple example: You charter a big boat you can load 50 people on them. No you don’t if it is a private yacht most likely you’ll be limited to 12 guests not matter how big it actually is. If you have worked with yacht charter I am sure you have answered this question hundreds of times. 3) Selling the asset(boat) rental time instead of the experience of boating in the specific navigation area. This is probably the most common mistake to date. Leisure boats are not cars people do not rent them to go from A to B and yet, there still are lots of sites out there that feature a list of boat and no mention of itinerary and the experience on board. Especially in the most commercial segment of the market. Nowadays insurance companies are very sophisticated and there is no reason why a deposit can’t be substituted by an insurance product. (Needless to say this point does not apply to crewed charter that won’t need a deposit bu only to bareboat charters). It surely will add to the overall cost but it will lower the barrier to purchase a week worth of charter especially in the mid/lower segment of the market of weekly charters in the £800-4500/week range. Again we are in 2018 and a lot of yacht charter companies and operators already have this process in place. Digital legal charter contracts that is, it easier it is faster and it is very efficient if your clients are not sitting at their desk most of the time. Accepting credit cards has a cost attached to it but it also makes it faster and easier for a client to book and deposit initial sums. 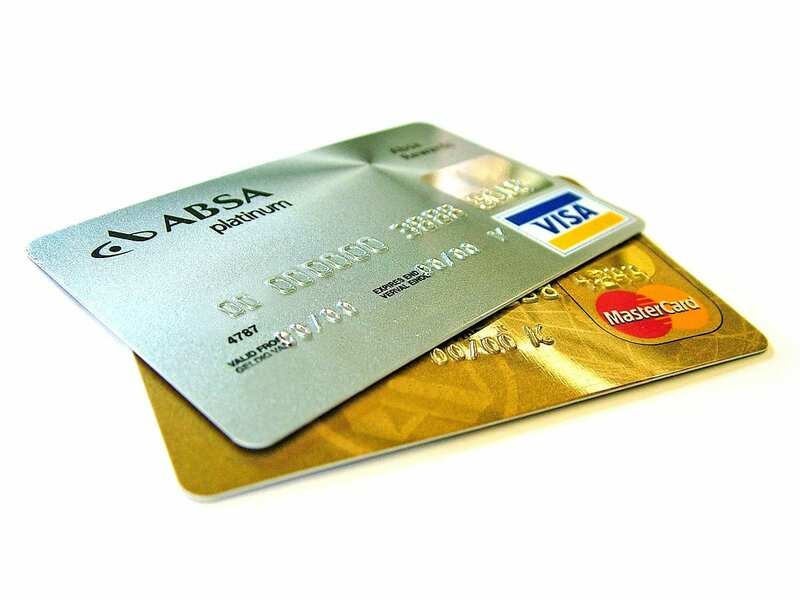 Nowadays, credit card processing devices are mobile and incredibly inexpensive to acquire and set-up, and yet a lot of charter operators still do not accept them and make their sale process much longer and more difficult. On a crewed charter the crew makes a very significant part of the experience. Regardless, of whether it is only 1 skipper or a crew of 3 or more even the most discreet crew will always interact with the guests a great deal during any given charter period. The captain/skipper and his/her crew have a very delicate job as they have to reassure the guests about navigation even when the seas are rough but at the same time provide for all reasonable (and sometimes unconventional) requests. Languages are a big plus because a good knowledge of the guest language will assure nothing is lost in translation, but character is even more important especially for the crew members that are in charge and might have to take unpopular decision to avoid unnecessary risks when needed. It can be about things as small as a car charger (12 Volt lighter plug) for the iPhones to be available onboard so that guests don’t have to run the engine or the generator to charge their phones/mobile devices which costs virtually nothing but says a lot about the company’s attention to details. It can also be about the smaller maintenance issue like making sure the show filters are cleaned between a charter and the other, or even a first (food) provision that takes care of the vegetarian dietary needs of the guests. Small things add up like little gold coins to gain great feedback and happy guests which are without a doubt the best way to grow your yacht charter business. The same navigation area can offer completely different experiences depending on what your preferences are. You can prefer to lay in the sun and swim to clubbing and fancy dining, or you might be more interested in discovering historical treasures and hidden spots. A yacht charter should always be a personalised experience (unless of course the route is pre-set) and the crew and the charter company should always take into consideration the specific interests of the people on board, all of them, not just the one signing the checks. As every year we are preparing a 40 page comprehensive Yacht Market Analysis document on current status of the yachting industry as a whole and its outlook for the years to come. The scope of this yacht market research paper is to enable companies operating in this industry, investors and entrepreneurs to have a comprehensive and detailed view of the industry and its trends. 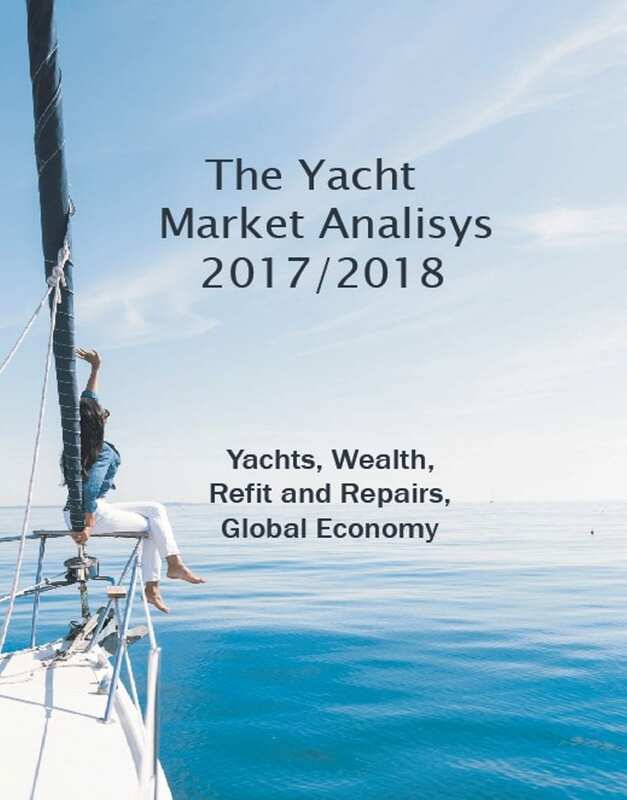 This yacht market analysis is particularly useful to yacht builders, yacht brokers, design and engineering firms and service companies component manufacturers and financial investors. We will be making this document ready for purchase and download in the next 3 weeks. However we are offering to the first 20 customers and only through a pre-order a discount of 40% off the full price of £900 – discounted to £540 so if you would like to pre-order all we you need to do is use the product below and complete a £102 pre-order payment for the pre-order please click on the image below. An email will notify you when your copy will be ready for download. PLEASE NOTE: To give a further advantage to all pre-order clients we will only make the document available for download to the general public 2 months later. New Tech: How many more boats, parts or charters could you sell if your clients could finance their purchases online? A new wave of technology in the financial industry (fintech) could truly bring a breath of fresh air to the yachting industry in segment under the £50.000 price mark. It sounds like a small price tag for a boat purchase but it’s not if you take into account the number of transactions or look at the yacht charter market and in yacht supplies/components. On the contrary it is a very large segment of the yachting industry in terms of number of transactions and many traditional Marine finance companies barely look at anything below £25.000-50.000 not to mention oftentimes they don’t look at vessels that are older than 30 years. What does £50K buys these days in the boating and yachting industry ? What is it and how does it work ? It’s a fintech solution called DIVIDO we have partnered with that operates on websites that have enabled ecommerce modules. It allows a prospective client (user) that is – for example – interested in buying a dinghy or a yacht charter holiday costing £5000 to finance that payment and pay instalments instead of the full amount on their credit card right from the website. This process is enabled by multiple lenders competing for that client in real time and right through the website of the seller itself (the Dinghy seller or the Yacht Charter company in our example). 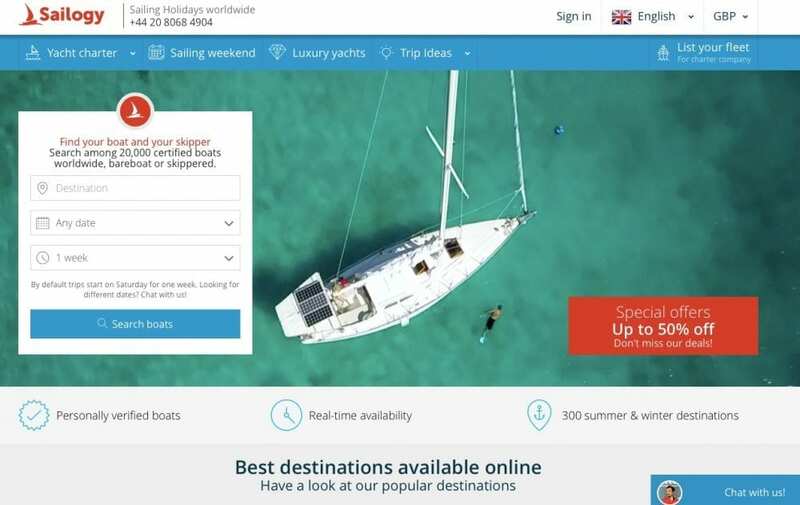 Web users can spread the costs of for example yacht charter holiday through the year, or a high ticket purchase, get better offers booking in advance or during sales even if they don’t have the full amount in cash available. 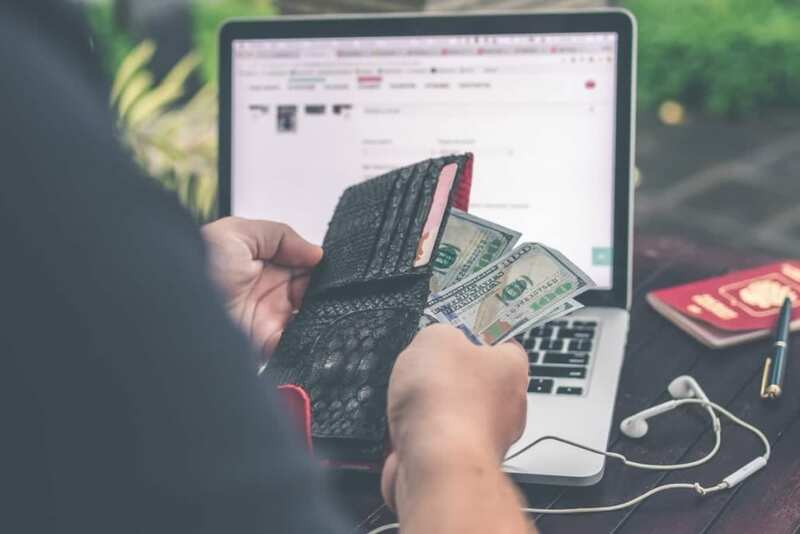 Ultimately, it is also a great way to attract new generations who are accustomed to use online tools to complete the purchases instead of going through a lengthy financing process which in most cases would actually contribute to a lost sale. It also goes without saying that a Yacht charter holiday or any other a small boat becomes much more affordable if the client is able to spread that cost in time and yet have an immediate response on whether he can get that very purchase financed or not and at what rate. What companies (sellers ) qualify for this solution ? Sellers (Companies) that can benefit from this solution will need to meet some basic requirements. It will be soon available in the following countries so please sign-up and get notified when it will be available in your country. The set-up fee to install and test the multi-lender financed payment solution provided by DIVIDO can vary from merchant to merchant. However, plug-ins are available for the most common Content Management Systems such as WordPress, Shopify, Magento and Open Cart. Please Enquire and let us know your website set-up so that an accurate quote can be proposed. furthermore a monthly maintenance fee is required for their technical support and to make sure that your website Trust Pilot rating keeps as high as possible with smooth transactions and outstanding customer service. How much more business can I expect to generate ? 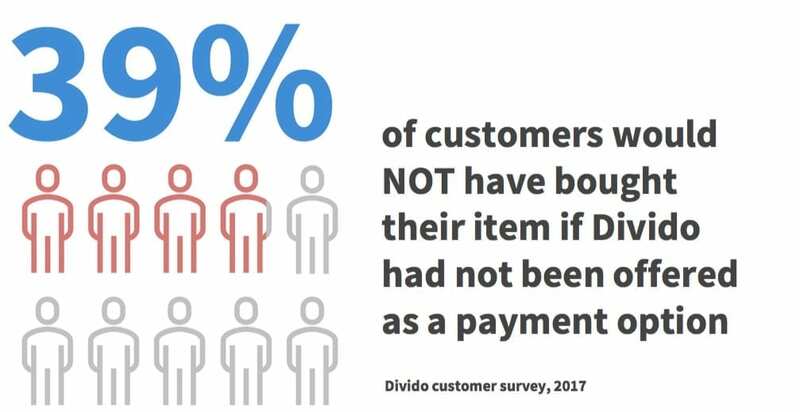 A survey carried out by DIVIDO itself on a variety of industries shows that 39% of prospective clients would have NOT gone through with a purchase if a financed payment option was not available and they had to pay in one single transaction for the full amount. Although it is hard to estimate how much more business you can generate, many of Divido‘s merchants have seen a sales increase of 30% to 40% since offering Divido to their customers. We really look forward to see what this solution could do in the industry of yachting as we believe it has truly great potential. What companies are already using it? Nobody in the yachting industry yet. We are the first to propose it to the industry. However brands like BMW, HTC and BNP Paribas have already adopted this technology. 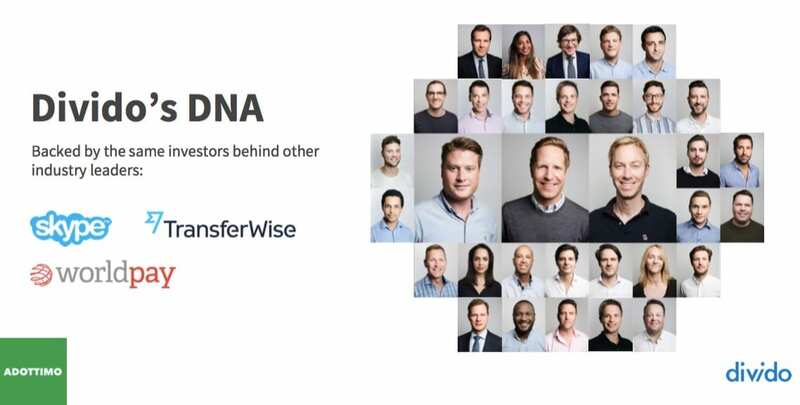 Who are the investors behind this fintech company? The same investors of Skype, TrasferWise and WordlPay. Their last round of financing was £2.9M. It is one of the ‘hottest’ tech companies in Europe. How do I get a quote and check if my company qualifies for Divido payment solution? click this botton below or get in touch with us. https://rodriquezconsulting.com/wp-content/uploads/2018/02/HOW-DOES-DIVIDO-WORKS.jpg 359 1077 Rodriquez Consulting http://rodriquezconsulting.com/wp-content/uploads/2014/09/Rodriquez-Consulting-logo11-300x94.gif Rodriquez Consulting2018-02-16 08:25:502018-04-26 08:35:00New Tech: How many more boats, parts or charters could you sell if your clients could finance their purchases online? Why will the Airbnbs of yachting improve boat ownership as well? We live in the sharing economy. Aside from the famous Airbnb, sharing vehicles and much more has become an everyday reality especially for those of you who live in big cities such as London, New York, Paris and Rome. We are sure you are getting accustomed to use services like Barclays’ Bikes, (now Santader), Zipcar, Car2Go, Ubequoo, to ‘rent’ bicycles or cars. In the UK even big players are venturing into peer-to-peer services like EasyCarClub (the logo will remind of EasyJet), BlaBlaCar and others that are based on the ownership or cars being on a private basis instead of being owned and managed by fleet operators like in the case of Zipcar. In the boating industry things are a little more complicated but chartering or sharing a boat has been practiced for quite some time even if with much less technology involved in the process. After more than 50.000 people read our our article on Investing in Yachts to Charter we had to dig into a number of platforms that are slowly but steadily changing the game. 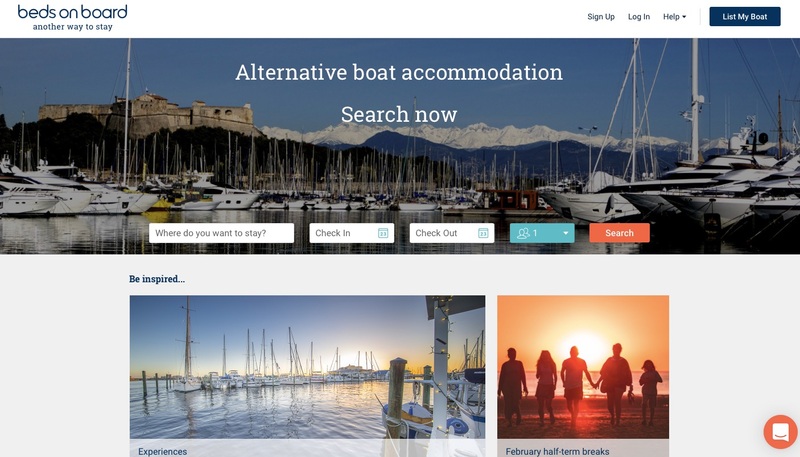 Today in the Yachting industry we have quite a few new web-based companies putting effort and resources into making the boating and yachting experienced more accessible to more people. We have tried to create 6 macro categories, however not all companies do fall strictly in one of the above and some of them embrace traits of more than one of the above or have pivoted along the way from a business model to the other. 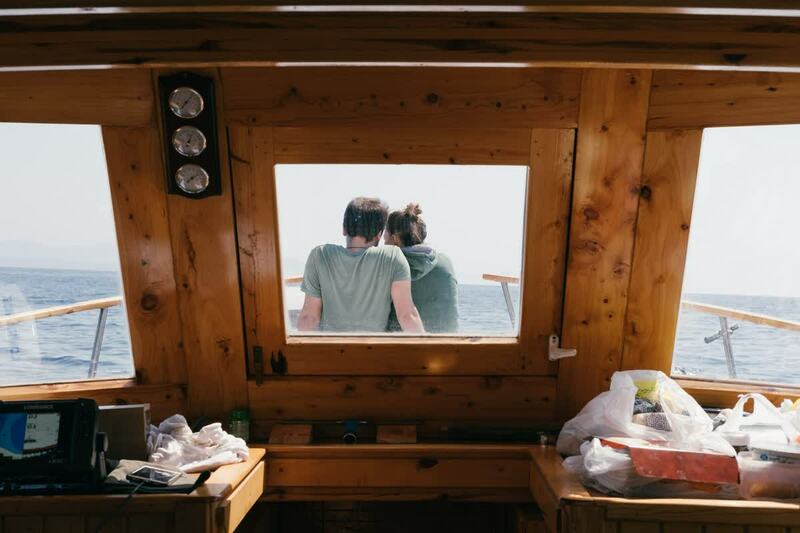 We refer broadly to the Airbnbs of yachting when considering mainly those platforms that are not too selective on the of new boat listings and welcome new boats right from the front end of their website (have a list your boat option) and focus primarily on entry prices as low as €100/day or even less. We have asked some of the founders to help us and comment on this article main point. It was started by Jaclyn Baumgarten and it is now based in Miami Florida. BOATSETTER, often receives inquiries from perspective owners asking us what types of boats they should consider purchasing because they want to offset the cost of ownership through the Boatsetter program. 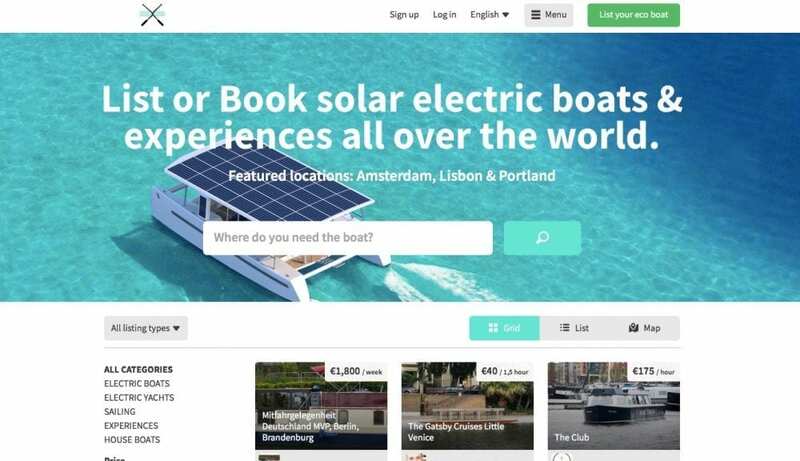 It’s a U.K. based counterpart of the aforementioned, focusing mainly on peer-to-peer and small fleet owners and it is called BorrowaBoat.com founded by Matt Ovenden. We asked Matt to give us his comments on whether new platforms could actually bring innovation to the industry and his words were very clear to us. Started by Tim Ludlow a former Production director at Google. This platform initially cut away the issues surrounded by operating the vessels and focused on the lodging capability selling time on board just like as if they were apartments or hotel rooms. In our opinion a very interesting angle to focus on and surely a good way to monetise idle time even where and when the weather is not suitable for a non-experienced sailor. 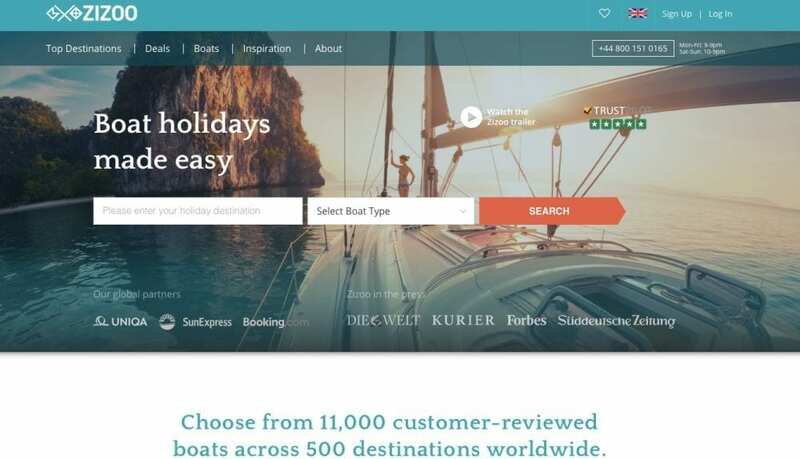 At bedsonboard.com we’ve seen conversations between owners and guests about buying boats and we get phone calls from prospective buyers about how we can help them generate revenue. We’ve also seen owners buy bigger boats because of that income and our whole vision to keep owners as owners. We’re a top of funnel source, bringing in totally new potential customers that the boating industry as a whole has to convert and we talk regularly with British Marine and The Yacht Harbour Association about how we can help. The key element to attract newcomers to boating is to give them a good idea of what type of experience they could have. The success of TheYachtWeek.com founded by Erik Biörklund, Johan Kuylenstierna Corthesy and William Wenke for example, is largely based on their very emotional and targeted video communication and their sharp focus on a very specific target market. This company has indeed carved itself a niche and has delivered very well within that demographic segment often selling a first boating experience to many of their clients. It comes to no surprise and it was a very smart move to give video makers an incentive to join their sailing experiences. 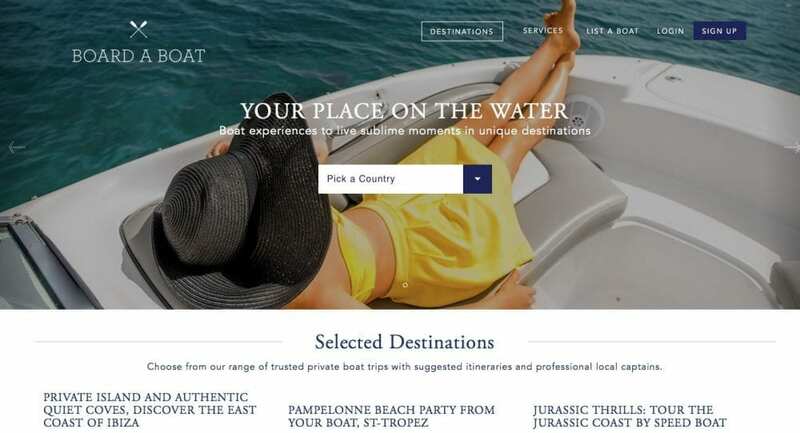 Started by former Yahoo manager, Frank Sykes, BoardaBoat.com was originally very focused on peer-to-peer and added a new element to the equation. 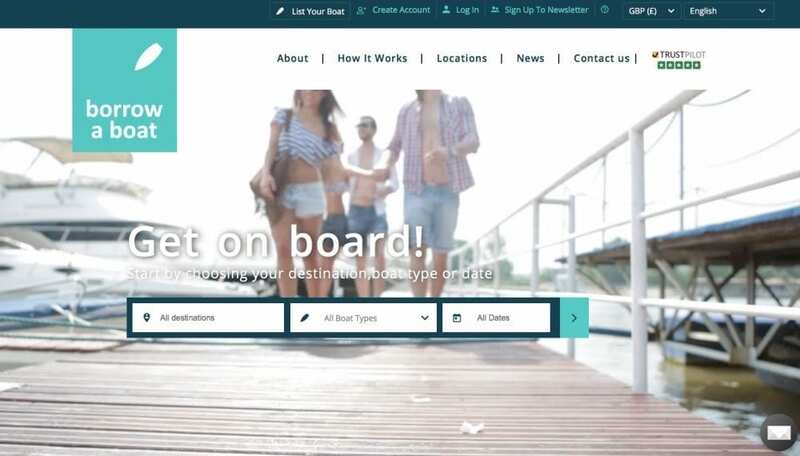 It was the first platform to the best of our knowledge that allowed users to sign up and get involved even without their own boat in the capacity of skippers/captains who had the trust of a boat owner or more than one in a specific area. Incrediblue had a Greek DNA and it was the brainchild of Antonios Fiorakis although once again the company incorporated in the U.K. which is a common denominator for tech-based companies that are willing to grow on this side of the Atlantic ocean. The strategy paid off for Antonios as the company was successfully acquired by Nautal. Manlio surely knows a thing or two about luxury having covered the position of Head of corporate marketing at Ferrari and his platform and company very much focus on quality control, real time availability and user experience. We had a chat with him as well and we were very suprised to learn that their average booking value is higher then we expected it to be. Compared to more traditional yacht charter companies Sailogy.com focuses on efficiency as that is the only way to process a significant volume while keeping quality high. Sailogy.com partnered with Quintessentially Lifestyle (the luxury concierge company) and Lastminute.com . Sailogy is based Milan, Italy. They agree with us that it is vital for them and for their competitors to keep boats as active as possible and improve boat ownership in the process. We could not list all of the platforms that are on the market right now and we probably will add more to the list however, there are two more we’d like to bring to our audience attention. Zizoo.com is focusing on no-booking fees, realtime availability in both skippered charters and bareboat charters. 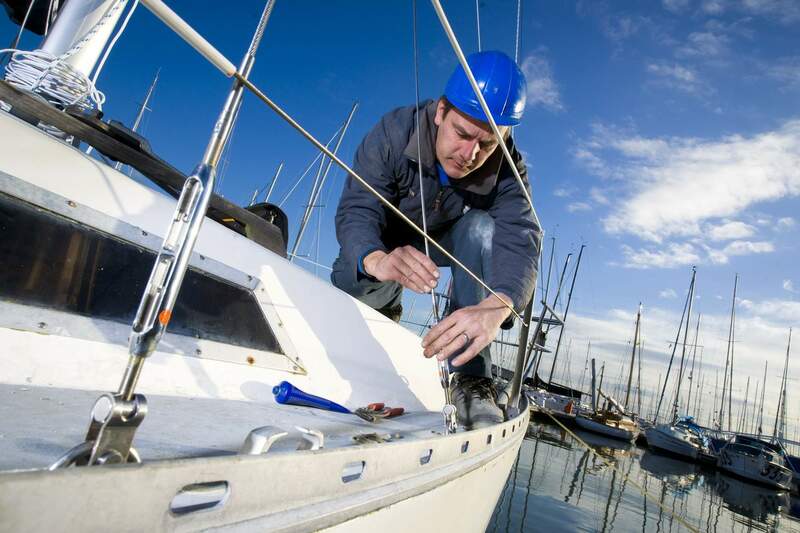 They are fast and responsive and in our experience tend to keep partners (Boat owners/fleet managers) always involved and up-to-date with the several requests the platform receives. With the rise of the collaborative economy became easier then ever to get on a boat. Any boat… In some way is great to see our canals, rivers and oceans full of boats. But at the same time, the more motor boats we have on the water, more polluted it becomes. Luckily, there are alternatives to motor boats, but for some reason they are not having the attention they deserve. Therefore, we are on a mission to exclusively promote the rental of eco-friendly boats & yachts. Electric, wind or solar-powered. Will they improve the yachting business and boat ownership ? In our opinion these platforms will contribute positively to the boating industry. The Yacht charter market is already set on a 7.2% (CAGR) growth rate from 2016 to 2026 and is likely to outperform expectations. Ultimately, more money in the charter market makes for vessels that are used more, thus, boat owners ‘suffering’ the cost of ownership much less. In brief, boats could become a less difficult asset to sell with more real market values that are not so distante from their asking prices. Will these platforms kill boat ownership ? Lastly, those that want to own a boat or a yacht will continue to do so and they will actually benefit from a faster moving charter market even if more competition really means lower rates, but easier access to boats contributes to a growing demand for boating and yachting experiences. Are these platforms hurting traditional charter brokers ? We do not believe they are. The charter market of those clients spending from €15.000 per week and more will still require humans (brokers) and it will very unlikely be completely automated anytime soon. We have asked this questions and their written contribution to a few other influential players such as Mr Richard Roberts Co-founder of TheYachtMarket.com in the yachting industry and we look forward to update this article. If you would like to receive an email when updates will be published or your company has been mentioned and you would like to send us your contribution contact us using the button below. Are you planning to charter your boat ? https://rodriquezconsulting.com/wp-content/uploads/2018/02/Thr-Airbnb-of-Yachting-e1518206965110.jpg 600 900 Rodriquez Consulting http://rodriquezconsulting.com/wp-content/uploads/2014/09/Rodriquez-Consulting-logo11-300x94.gif Rodriquez Consulting2018-02-09 18:14:452018-04-26 08:35:00Why will the Airbnbs of yachting improve boat ownership as well? Yachts and even smaller boats are hardly seen in store and although a lot of people were very skeptical about generating real leads from online marketing today it is the primary source of clients and the most effective one in terms of return on marketing spent. Many companies and entrepreneurs in the yachting industry are somewhat confused by the huge offering there is out there for tools and agencies that promise just about anything under the light of day. or even the more simple requirements that yacht charterers have. In an orderly fashion, we’ll try to pin down for you a clarifying set of points in a bit of a checklist on the process and tools which one should use for marketing yachts online as well as marketing the experience of yachting. The amount of visitors and sessions (one visitor can and will do more than one session if interested), The average time they spend on your website, Your click/visitor acquisition cost, Your CTR (click through rate), Your Website bounce rate, Your conversion rate and ultimately your (business) closing rate (if your website does not conduct the actual transaction online it will be the leads/closed deals) Before you go ahead and spend any marketing money online you have to make sure you can track your performance so it is fundamental to have the followings at hand. a) A fine tuned Google Analytics installation for your website Google analytics is a free tool to track your visitors, their sessions on your website, their behaviour, the source of traffic and a lot more however, if it is not finely tuned to track the conversions and the lead generation part of your website such as a contact form or enquiry form you are not going to be able to discern effective campaigns from ineffective ones Below is a video example of advanced conversion rate tuning in Google analytics. b) Making sure you learn how to read the metrics and filter traffic before you make any changes to your website – You might also want to try to use another tracking tool such as CrazyEgg or HotJar that will actually give you a heat map and click map of what your visitors are doing on your website. c) Loading speed is a crucial metric (read this post) that can influence all the others, this should be kept always under control and should ideally be under 2sec. If you are using wordpress we highly recommend to choose a solid hosting company such as Siteground we can’t speak highly enough of them. There are countless tools you can use to market your yachting business online but using virtually all of them at 10% of the tools potential often equals to spreading your resources to thin and not making the best out your time and budget. Let’s pin down those tools you cannot do without. Google Adwords : Google Adwords will serve the purpose of making Search and Display campaigns on the whole Google proprietary network and partner network. It’s fundamental to know how to use it as it is otherwise very easy to waste money with it and pushing ads to a not-that-relevant target market. Do not venture into an Adwords campaign if you don’t have the appropriate conversion tracking on Google Analytics set up and tested (See video above and previous block) – It’s fundamental to have the proper set up for re-marking/re-targetting campaigns because as we all know decisions related to buying or even chartering yachts are far from impulsive and your prospective clients will need to be exposed to your brand more than just once. Social Media management tools such as Hootsuite (All related social media accounts need to be active first) – Posting on Social Media on a regular basis can be incredibly time consuming tools like Hootsuite can help scheduling posts in advance so that they can regularly get posted and monitored. Frequency: keep your brand and products/services of on top of mind without being harassing this all comes down to having a well planned frequency of posts, emails, display campaigns, video campaigns and any other type of communication you are putting in place towards the same target market. A/B test: Testing is crucial you can test email campaigns with A/b testing in Mailchimp, you can test variations of your home page or landing page with Optimizely and you can also A/b test different ads within the context of a display campaign on Adwords, there are new tools for the latter but they imply a certain degree of knowledge of the Adwords platform. A new pair of eyes on your website will spot things you can’t because you have been looking at it too much or simply because you don’t have enough User Experience expertise, so get yourself a brand new pair of eyes to review your website and let you have a professional review. Get you Google Analytics data reviewed by a professional your interpretation might not be the only one on how to improve your presence. Test and review Page speed figures and see where the areas of improvement are. Planning to buy a yacht to start yacht/boat charter business can be very tricky. There is hardly a one-size-fits-all solution. For this reason we have created a Guide on how to choose your boat (Read this article) and if you want to crunch the numbers to charter your boat/s throughout the year we have developed a customisable Yacht Charter business plan [See Below] template on Excel (Click here to go to the product) which you can download and customise. You could be choosing the yacht charter business as a lifestyle business or retirement plan or you maybe you are planning to launch a new concept with innovative features to bring a breath of fresh air to the industry in any case we are here to help and always happy to hear from entrepreneurs and yachting enthousiasts. 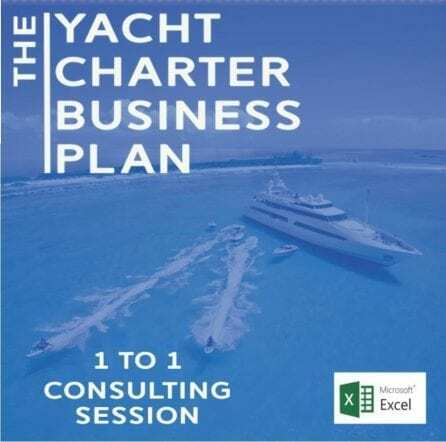 Even with a fully developed excel model you can find it tricky to make it work, thus, we have decided to include in the price of the Yacht Charter Business Plan Template, a 30-minute consultation so that we can help you get started or check your plan once you have filled it in with your data. Once you purchased the Yacht Charter Business plan package that includes the consultation [See product description below] we will get in touch with you within 24hr from your purchase to make sure the consultation is on schedule at your most convenient time. Furthermore, we will point you in the right direction in terms of marketing tools, platforms that you can use to advertise your charter offering and tips on how to create a unique experience and stand out from all other boats offered in your area/s of choice. We will also be able to let you have discounted offer on marketing and advertising product that will enable you to get the word out fast. Don’t miss the opportunity to have our experienced team check your business plan and advise you on a 1-1 basis on the best way to proceed, choose your boat, manage the vessel, and market your charter business efficiently. A lot of yacht charter industry leaders have already used our services and have reached great results. 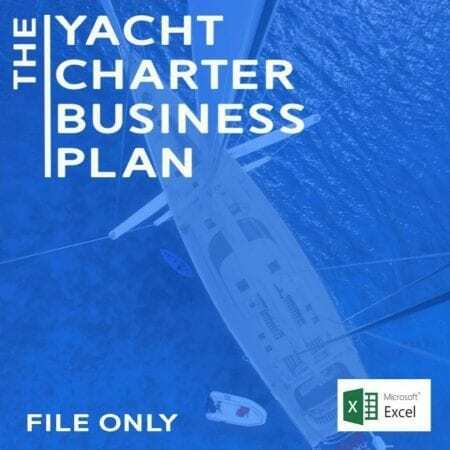 If instead you have quite a bit of experience in business planning and you feel you don’t need our support just now you can download our Yacht charter business plan Excel File-only version and get started. You can always get in touch with us later on in case you would like our help in one or more aspects of your yacht charter business.